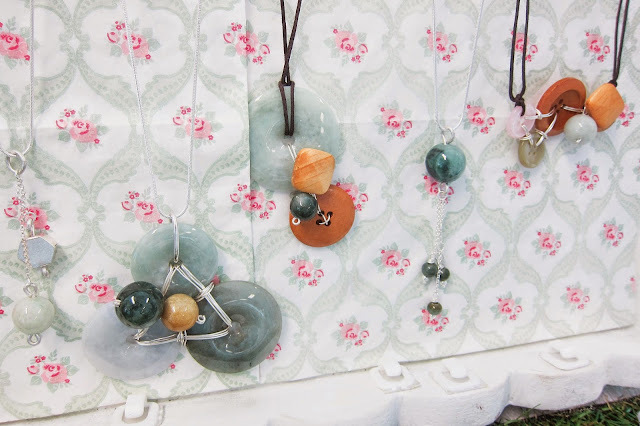 gen.K Jewelry's booth at the Public Garden flea. Hey everyone, so today's post will be done a little differently! 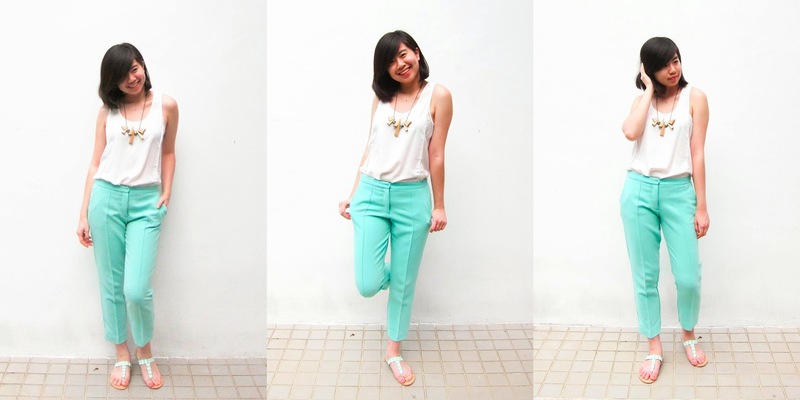 As you can see, I have loads of photos and outfits to share! 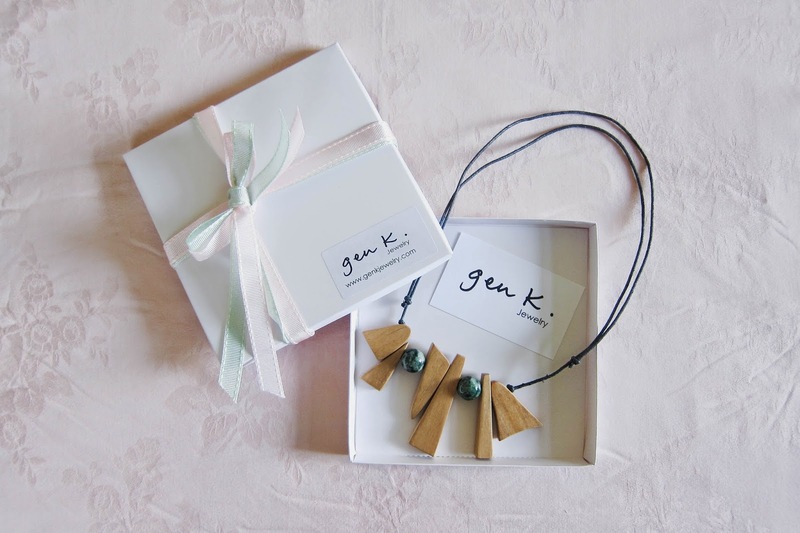 gen.K Jewelry first came to my attention on Instagram - as I browsed its feed, my attention was immediately caught by the unusual focus on jade in all of their products. I don't know about you guys, but I perceived jade as a pretty mature sort of stone usually worn as bangles. 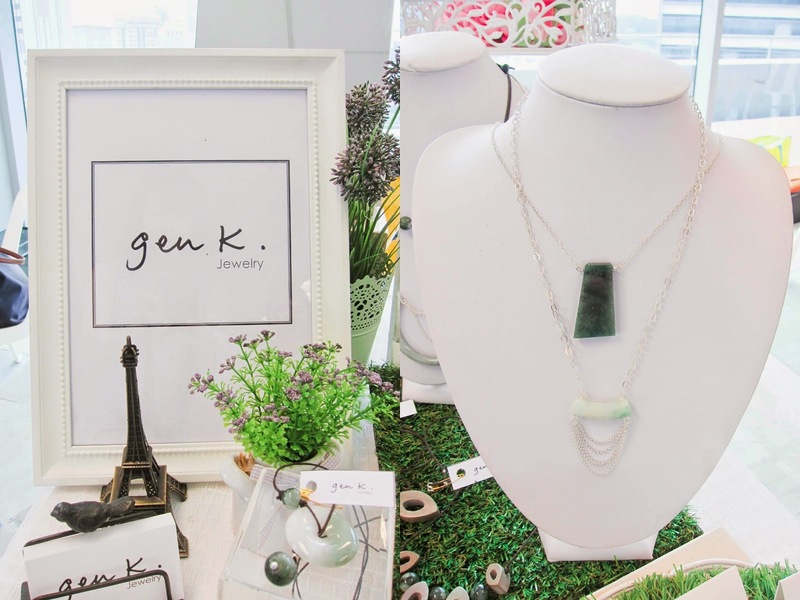 Close-ups of gen.K Jewelry's booth at the Public Garden flea. 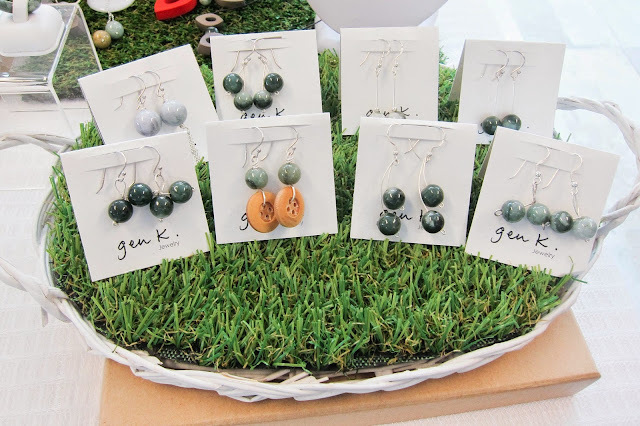 As you can see from the pictures, however, gen.K Jewelry took my (mis)conception of jade jewelry and completely turned it on its head! 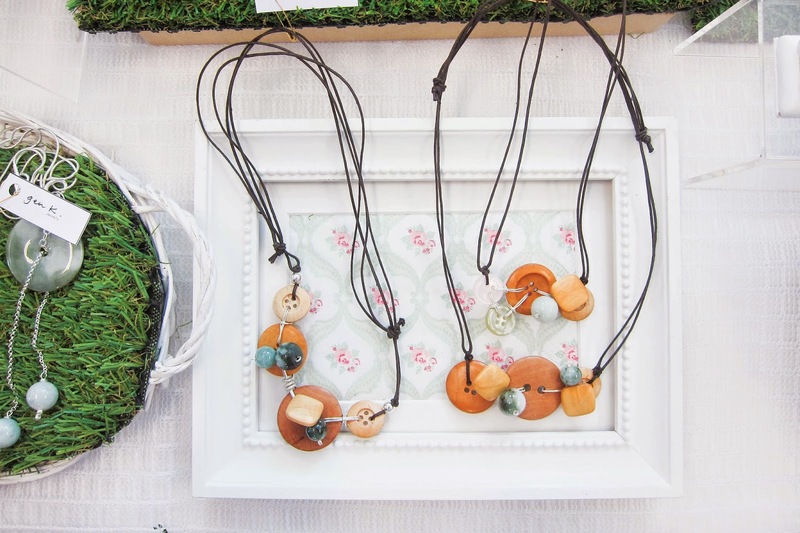 The photos above capture the intricate, hand-crafted pieces from its Series I, Simplicity and Wood collections, which are stunningly pretty and unique. Most pieces are rare one-offs, so purchasers are practically guaranteed that no one else in the world owns an accessory just like the one made by gen.K. 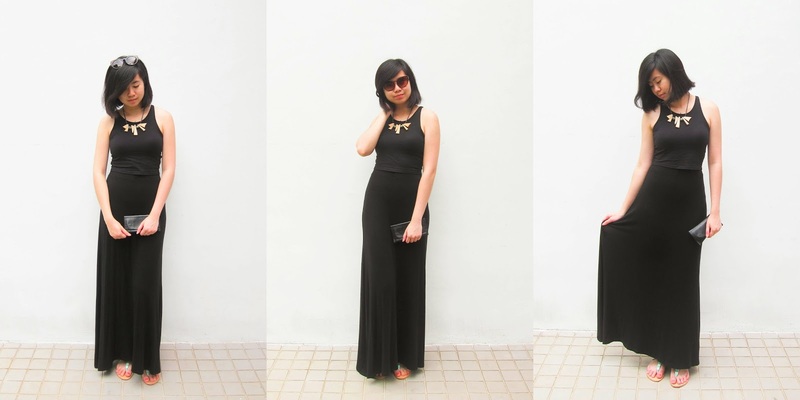 They are also extremely wearable, as I demonstrate in my OOTDs below; one piece certainly goes a long way and is age-appropriate. The driving force behind this budding business is none other than Genevie Lim, a self-taught jewelry crafter. She left her IT job to dedicate her time and efforts to gen.K, which I really respect. 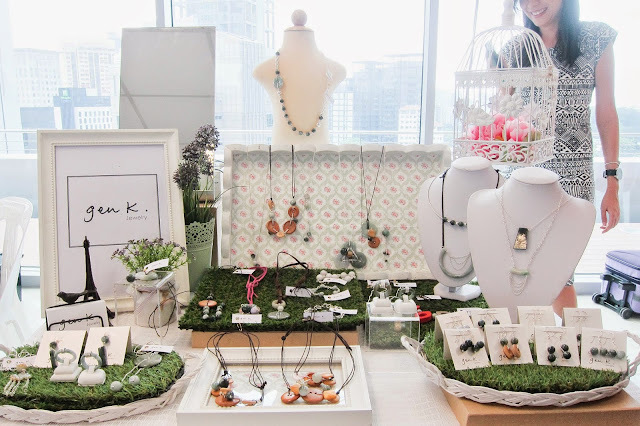 And might I add that she's doing a mighty fine job - she's not only found a niche in the current jewelry market, but has already completed three collections in that many months. There's not doubt that this lady is super hard-working, but she is also one of the sweetest, kindest individuals I've ever had the fortune to meet! 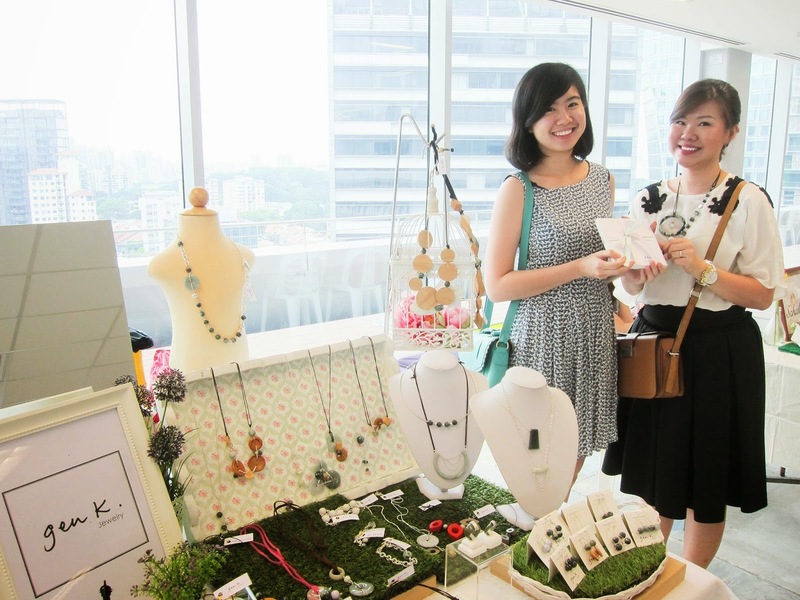 Gen and I posing at gen.K Jewelry's booth at the Public Garden flea. My chosen necklace from gen.K Jewelry in its perfect packaging. 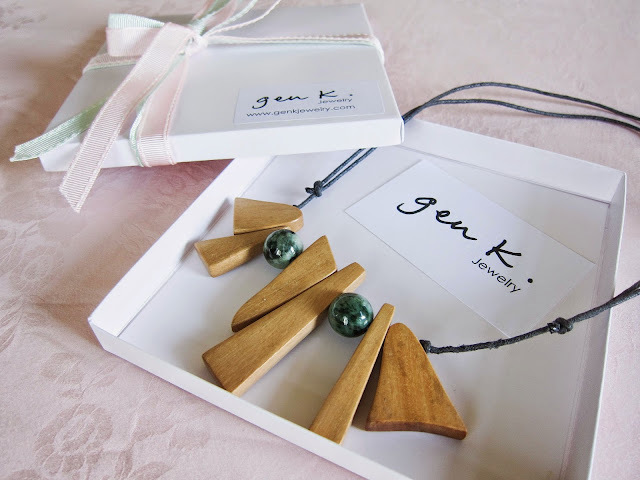 Pictured above is the wacky asymmetrical piece kindly gifted by gen.K - I saw it on their Facebook page in the Wood Collection preview, and just had to have it for its amazing design! Unfortunately, Gen only made the one piece, but do contact her to ask her about the possibility of making another just like it if you wish! To fully showcase its versatility, I paired my gift with a bunch of outfits. 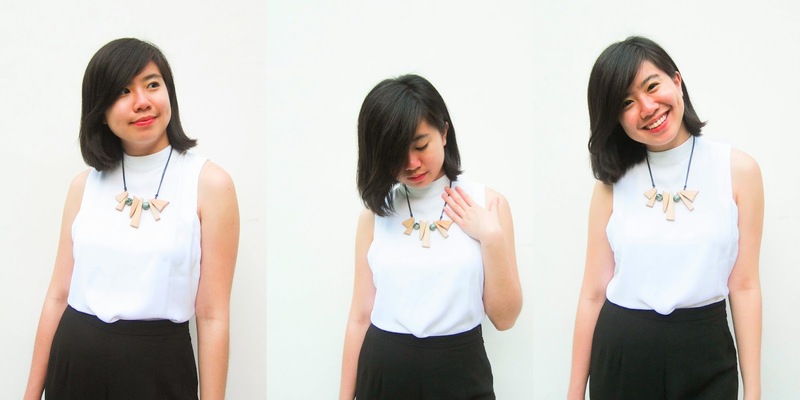 gen.K's necklaces are all great for work, a casual day out and even a date night. 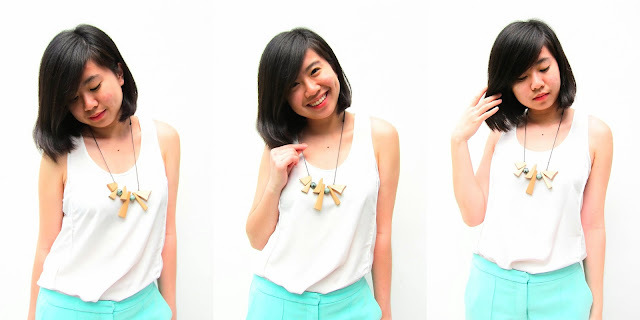 Wearing my necklace to the office! I was really happy with my piece, which was aptly named Woody Planks. 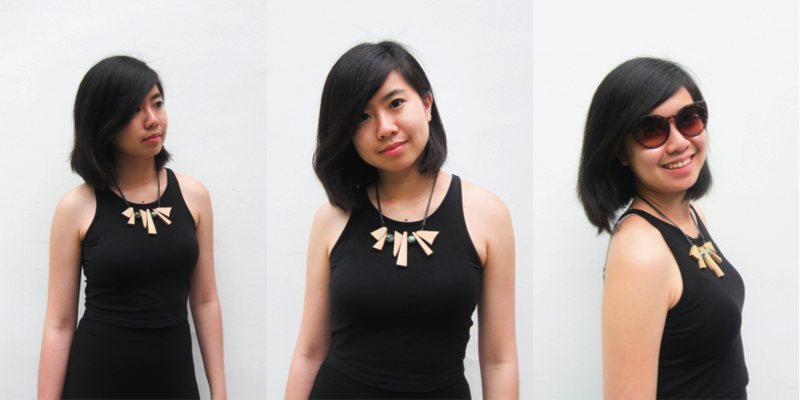 Like all of gen.K's necklaces, its length can be adjusted to suit any top you wear. I personally like to wear my necklaces a little higher, but the adjustable length was a great advantage when I wore a scoop-neck tank. 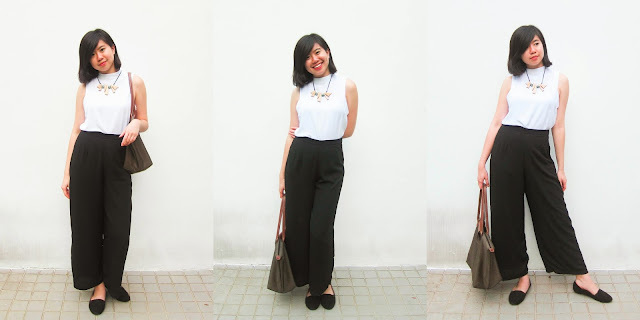 'Woody Planks' was a great complement to an otherwise casual outfit. The jade is so lovely on a monochrome colour palette as well - the green is really vibrant and stands out against a blank background, as seen below! See how the green stands out? Would totally wear this to a lunch or dinner date. Phew, I think that's it! Thanks for sticking around the whole, long-winded way. 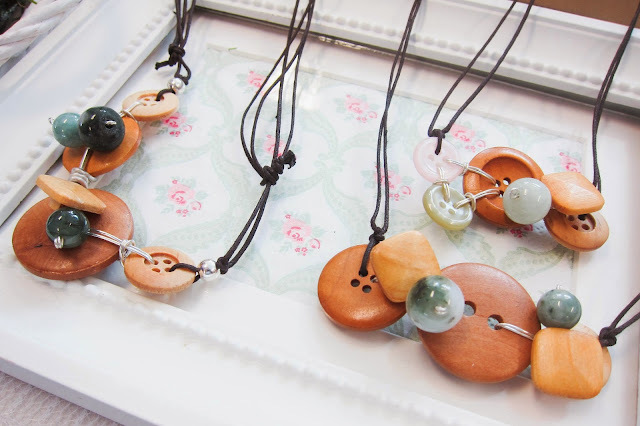 :) So what's your take on jade jewelry modernised?